We need you more than ever, as without your work, support and smiles, the race wouldn’t exist! We are counting on you to sign up! Please take a few minutes to consider the range of positions available. Our volunteer manager, Patrick, will then be available to answer all your questions. 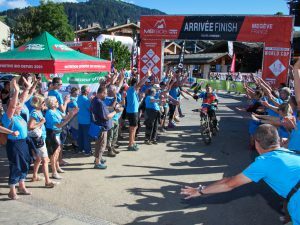 • Villages – Several villages come alive during the weekend of the event in Combloux and Megeve. Volunteers on these sites have different tasks: setting up and managing villages and demonstrations, welcoming crowds, managing starting and finishing points. • Refreshments – This position involves setting up and managing the supplies. They are provided at each event. • Signalling – This position requires the largest number of people. Here you can thrive on contact with the riders: you show them the path to follow and ensure their safety. Participants are always grateful for your presence and encouragement! 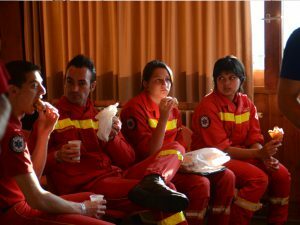 • Safety – Healthcare professionals, do you want to help out? Your help is always welcom over the weekend. Whether you prefer to be surrounded by nature or near the hosting villages, the participants need you! 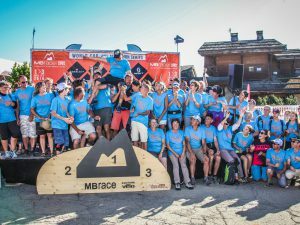 • MB enduro – This event, held on Sunday 5 July, requires volunteers who are willing to be up in the mountains, in the Portes du Mont-Blanc region. You will experience the race right up there with the competitors. You can be a mountain bike signaller, starter, opener or closer. 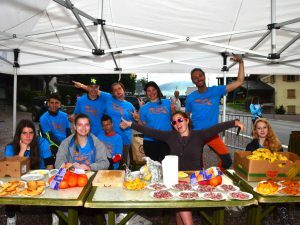 • MB kids – kids race – This position is to make sure the children’s event runs smoothly. It zil be held on Saturday 4 July in Combloux. 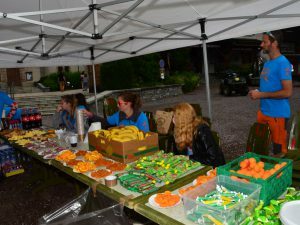 • Registration / Welcome – Volunteers here will be responsible for welcoming participants and the public at various sites, as well as taking care of registration for the various races. You will be in close contact with the riders. • Logistics – The logistics team is responsible for assembling and dismantling structures before and after the event. They are also in charge of managing the transportation equipment to make sure the event runs smoothly. • Route marking – Volunteers will mark out the routes to properly prepare for the races. Competitors will then be able to properly follow the courses without getting lost. After completing the races, you will remove all marking and make sure the routes are as they were before set-up. • Motorcyclists – You can open or close the MB ultra, MB classic, MB cadet and Erando races riding on your motorbike!